Yes, moms, it’s back to school time (as if you weren’t already counting down!). I always looked forward to school starting as a child, and my kids are no different. They can’t wait to start school next week. For the past few years, my daughter and I have made a back-to-school teacher gift for her teachers, which she presents to them at the open house the Friday before the first day of school. It’s always a hit, and I think it also helps to get the year started off on the right foot. This year, in addition to our regular pot of pencil flowers, we made an extra teacher gift to decorate their desks…a cute sticky note holder. 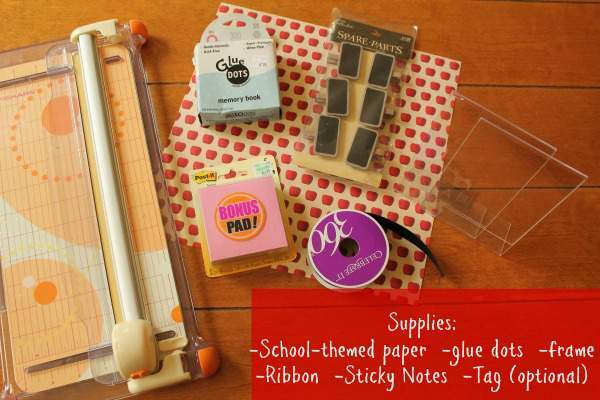 You can get these supplies at your local craft store or probably even Walmart or Target, which you’re shopping for school supplies. 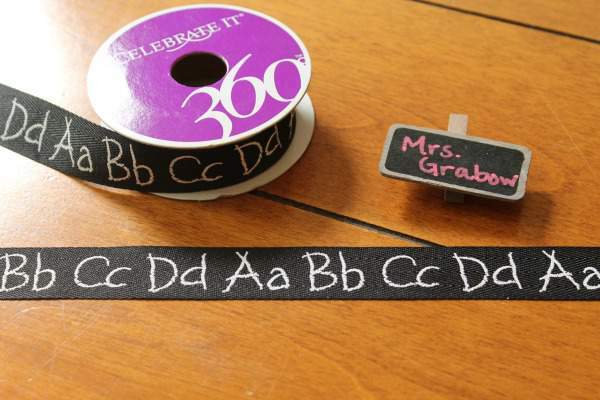 Tags are optional, but I wanted to personalize this craft, so I found some adorable chalkboard clothespin tags at Hobby Lobby (with extras to last me for 2 more years). To begin, cut your paper to fit in your frame. 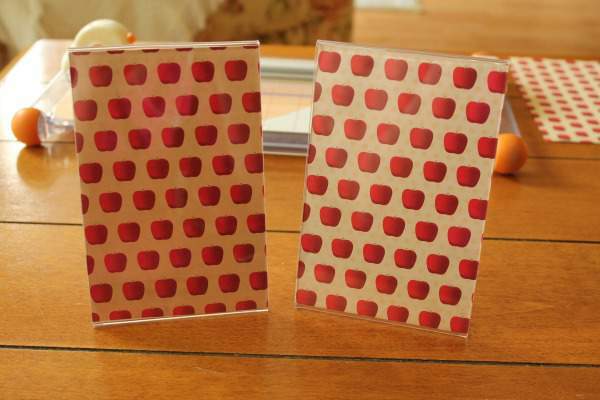 Using my paper trimmer made quick work of this, but you can always just use regular scissors. 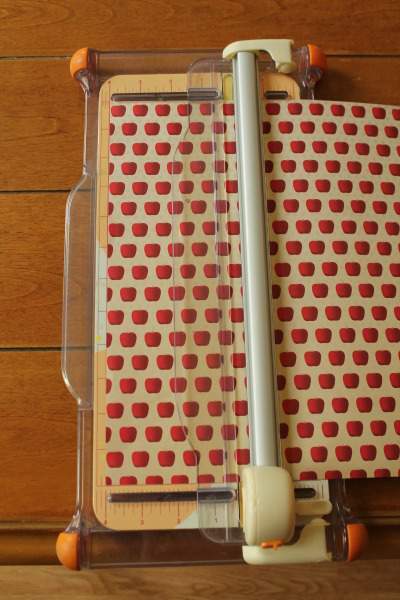 Simply tie the ribbon into a square know at the top of the frame, making sure to trim the ends neatly. 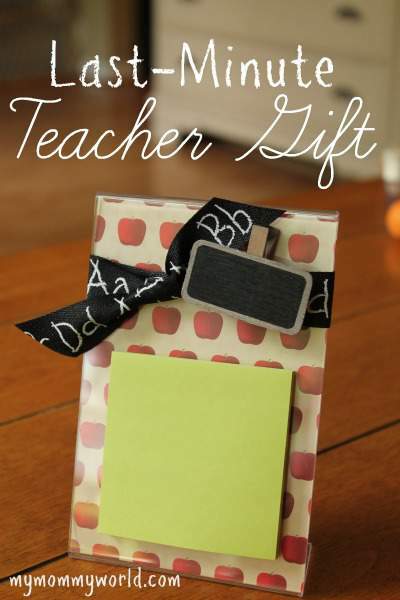 You can then add a clip or tag with your teacher’s name to personalize it. I used a chalk marker for a clean, legible letters. Easy, right? It only takes a few minutes, but looks so festive, just in time for back to school fun! I hope your teacher enjoys this fun little gift! 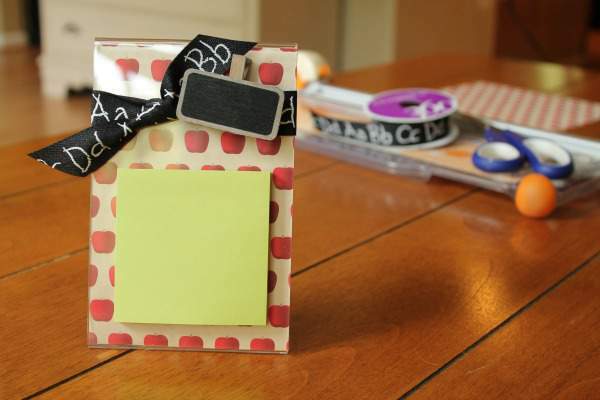 Do you usually make a teacher gift for back-to-school or wait until the holidays? Erin, those turned out so cute. We don’t make teachers gifts since we homeschool. 🙂 but my mom used to make them for my teachers each year. 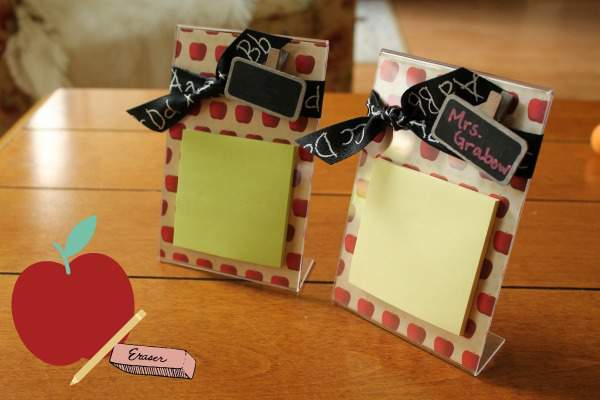 What a cute back to school gift for teacher! Thanks for linking up at the Ultimate Pinterest Party last week! I have featured your project in this weeks link party – can’t wait to see what you share this week!